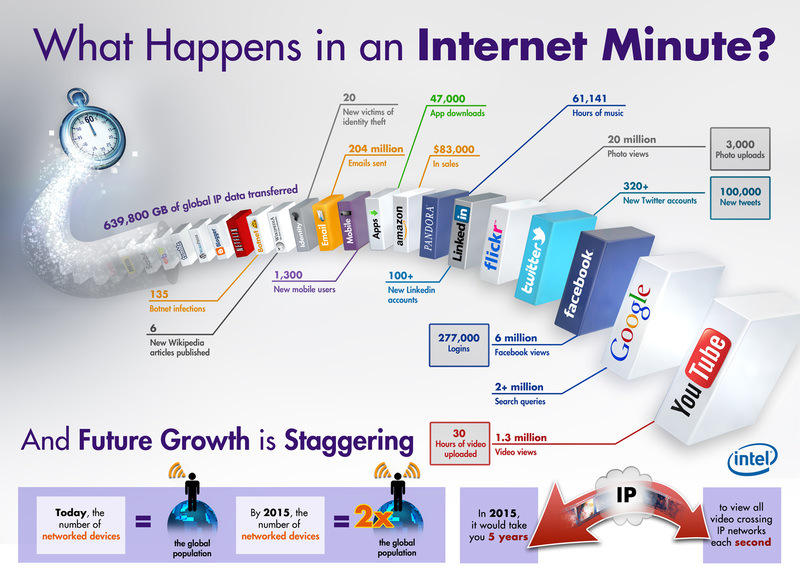 Home » News » What Happens in an Internet Minute? This is a really cool infographic from Intel showing not only the vast amounts of data being transferred, but what type of data. One of the things that shocked me were the number of new mobile users, and sales revenue Amazon makes ($83,000). The internet has truly come a long way. I would like to see a comparison between the internet 20 years ago and now.